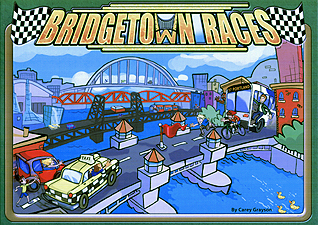 Each year, the International Bridge Racing Association selects a city with lots of bridges to host its annual Bridgetown Race. This year they have chosen Portland Oregon, USA. Players, using bicycles, motorcycles, taxis, buses, automobiles, the street car and sometimes their own two feet, try to cross each bridge and capture its flag. Be the first to cross every bridge and you win the race. Do you think you are up to the challenge?